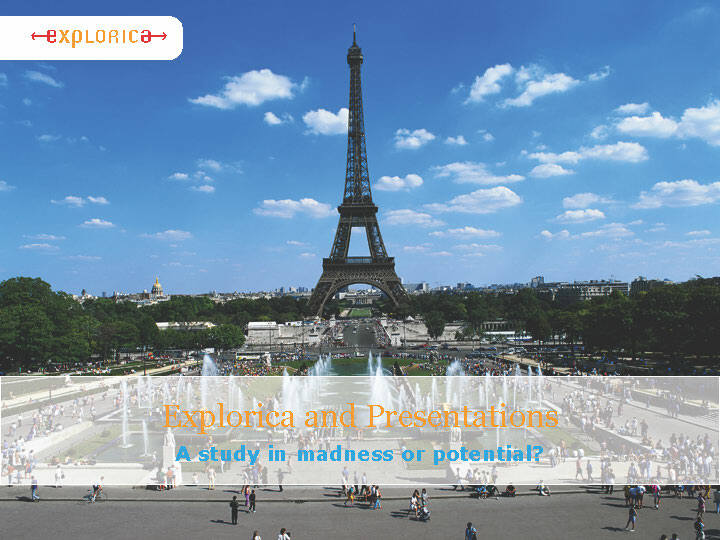 Explorica had been using multiple, hastily compiled, PowerPoint documents for presentation puproses to parents. The document served as the last piece of Explorica marketing to convince parents to fund their children's tour with Explorica. I was tasked with "updating" the identity branding in the documents—which was needed. Besides inconsistent typography and color, the most egregious abuses involved pasting too much information into slides and reading it aloud to the audience. This led me to identify far more opportunities for improvement than what had originally been assigned. I met with key Sales personnel several times to understand what information was most important to them and what needed to be communicated in the presentation. Our final list: the merit of edu-travel, the advantage of Explorica tours, an overview of the selected tour's itinerary, available support, the benefits of traveling with Explorica, and payment options. Step one was going to require educating the sales team on basic presentation techniques and disuading some "we've always done it this way" behaviors. To that end, before unveiling a reimagined presentation, I developed a presentation explaining presentations. Ostensibly, the Presentation to End All Presentations had to compellingly explain why we were going to do things differently. This explanation was short and to the point. Only about ten minutes of the meeting. Step two involved unveiling the redesigned presentation. Reimagined—according to brand standards—the presentation featured only the necessary information that would be delivered to the end customer. 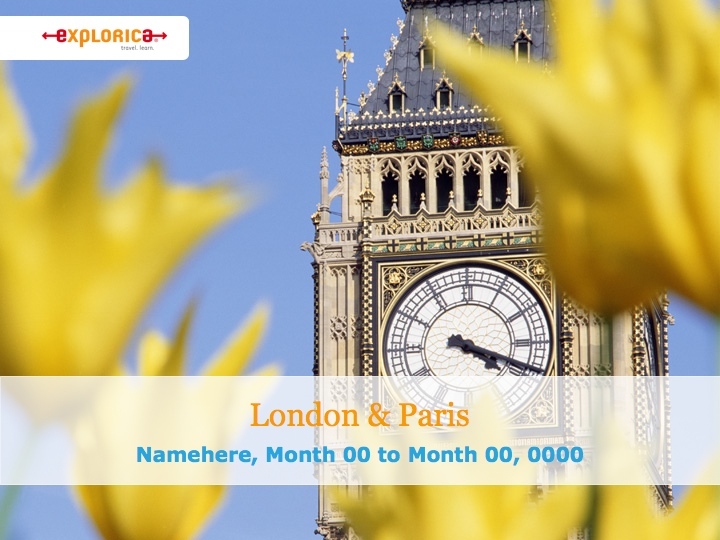 (A popular combination destination, London and Paris, was used by way of example.) More in-depth content was relegated to take-home handouts. I developed a script to allow anyone—with a little practice—the abillty to give the presentation. To drive this point home, I handed the script to a member of the Sales team and asked them to give the presentation cold. I followed this with a brief roundtable interview asking if they felt confident that this would work with their clients: teachers. Step three is currently in-process. I continue to give support and guidance in order to allow the presentation to be disseminated and run long enough to gather conclusive evidence before making any further changes.